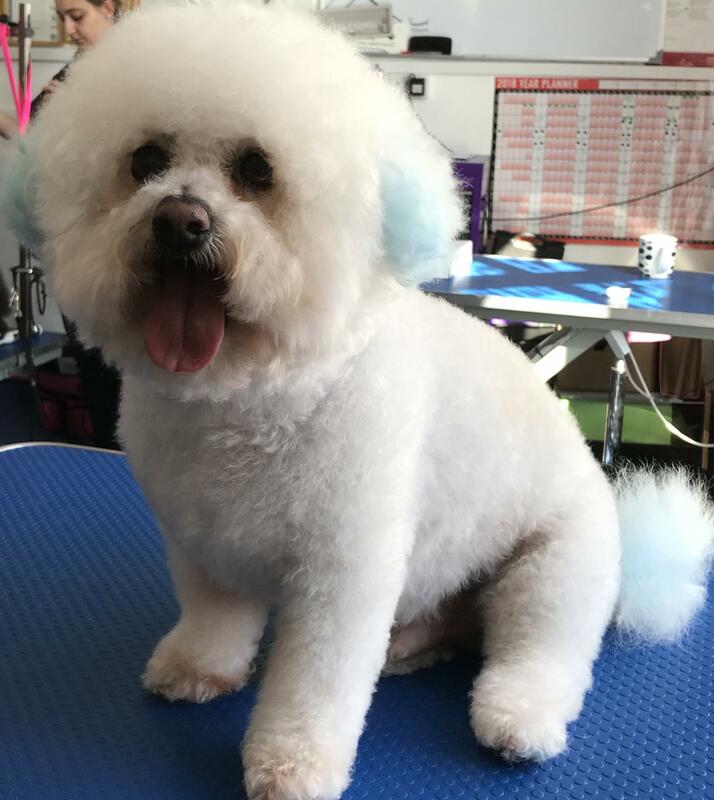 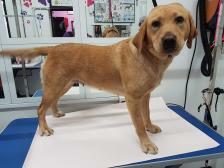 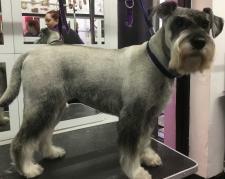 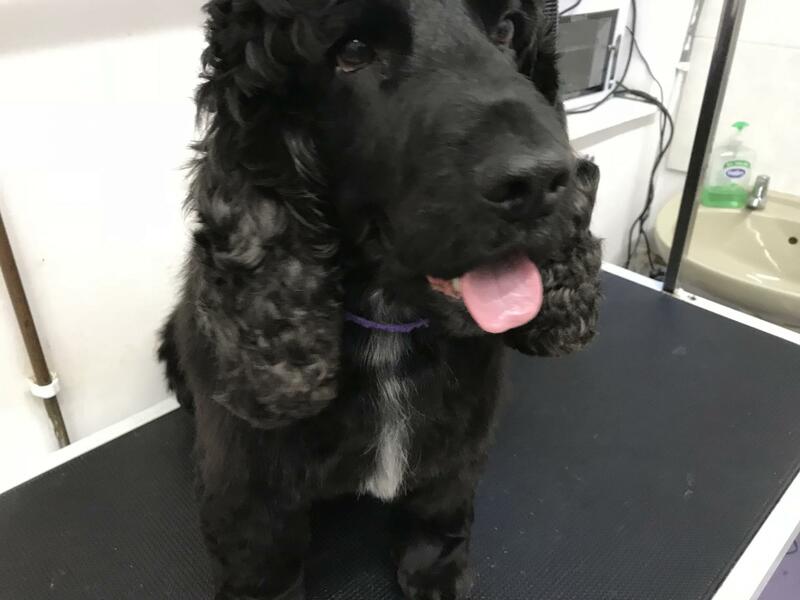 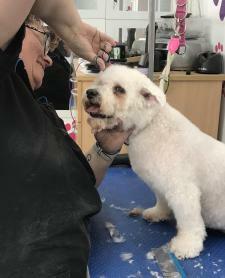 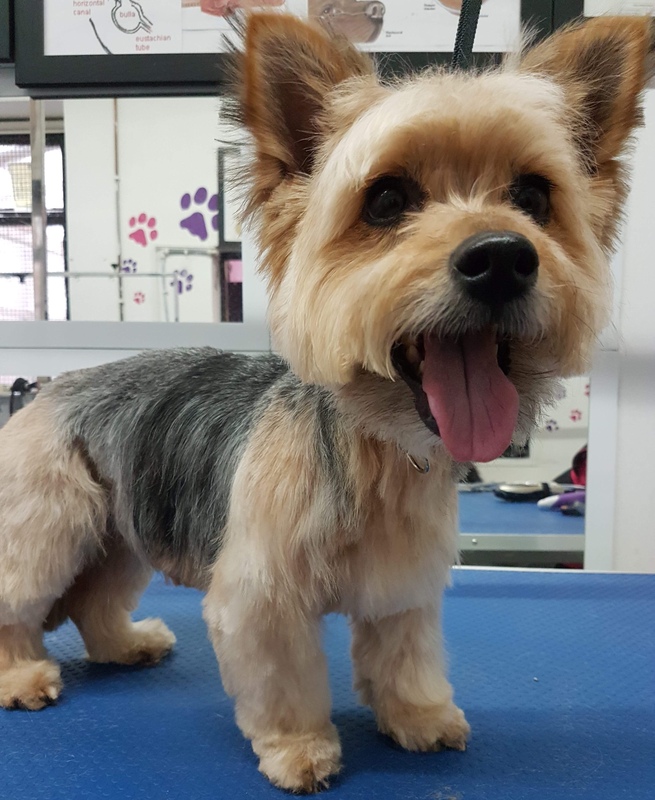 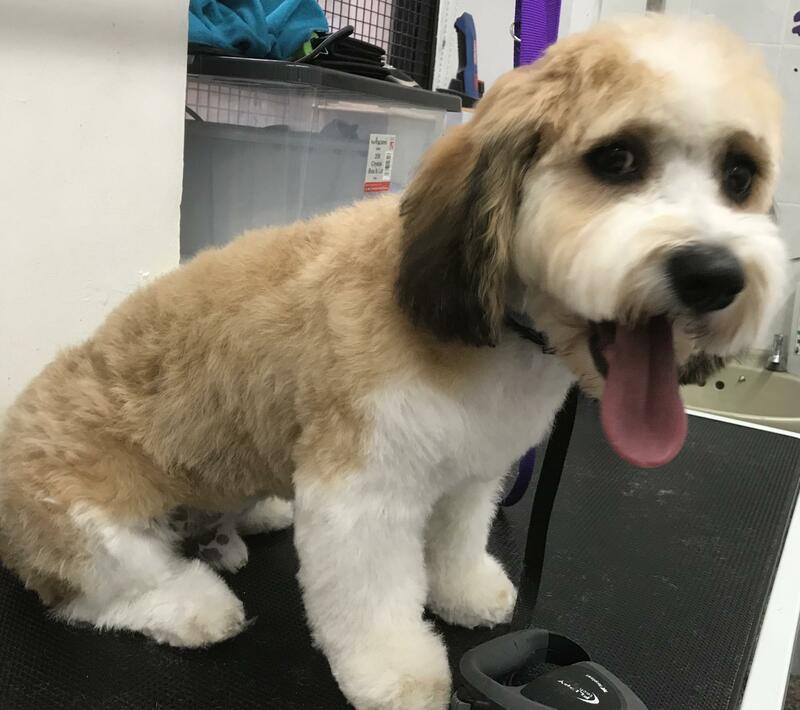 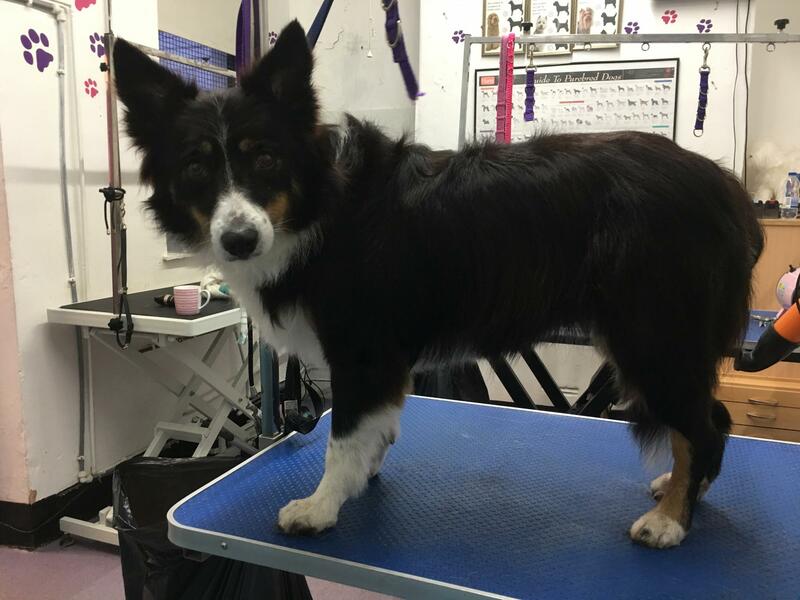 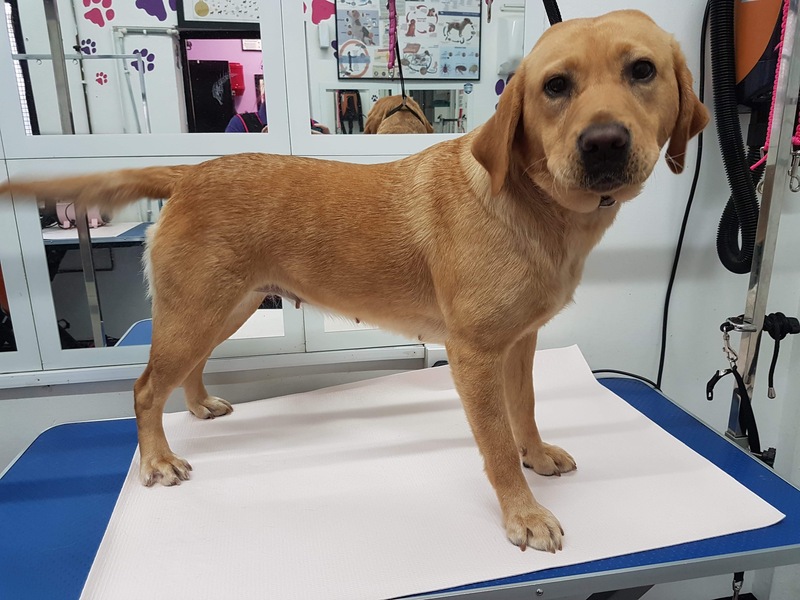 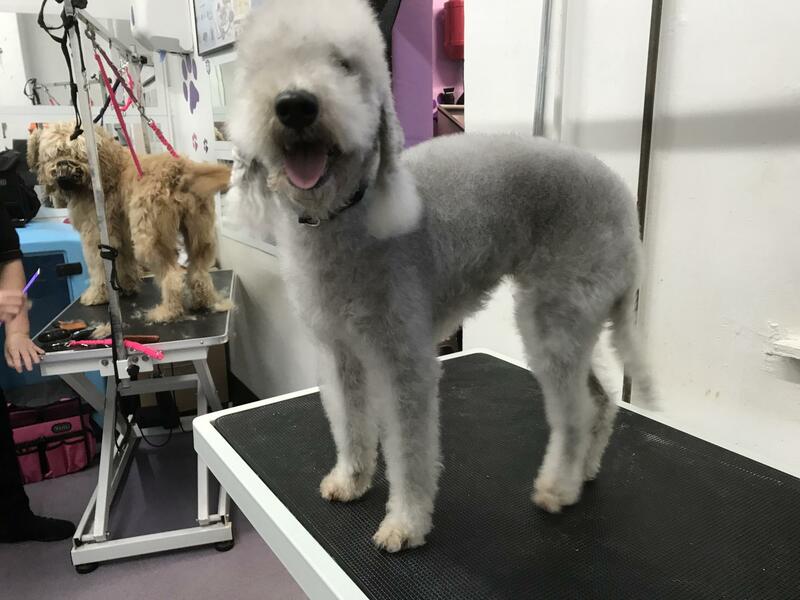 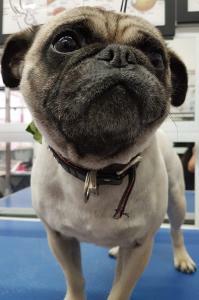 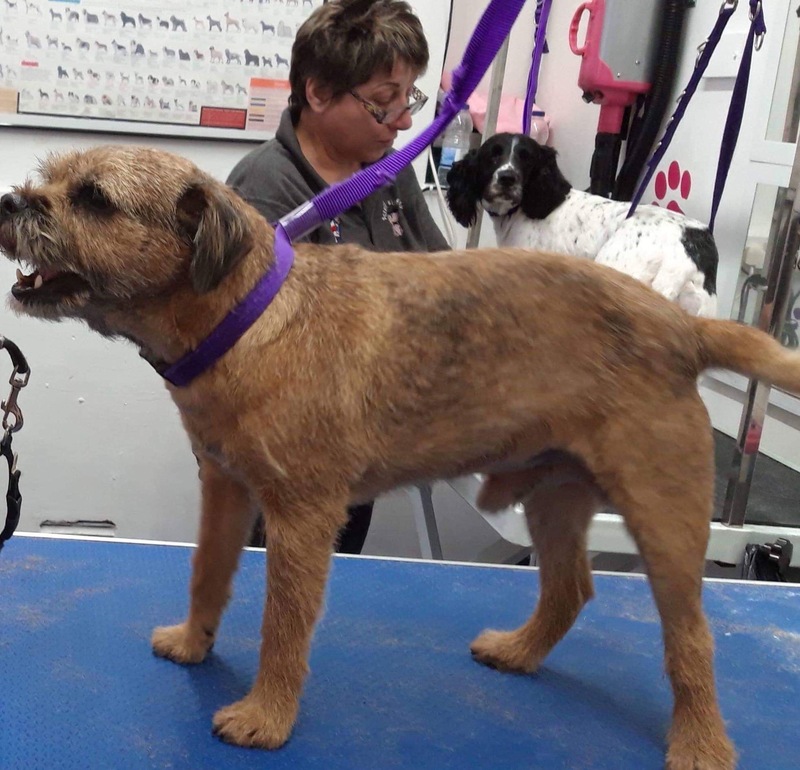 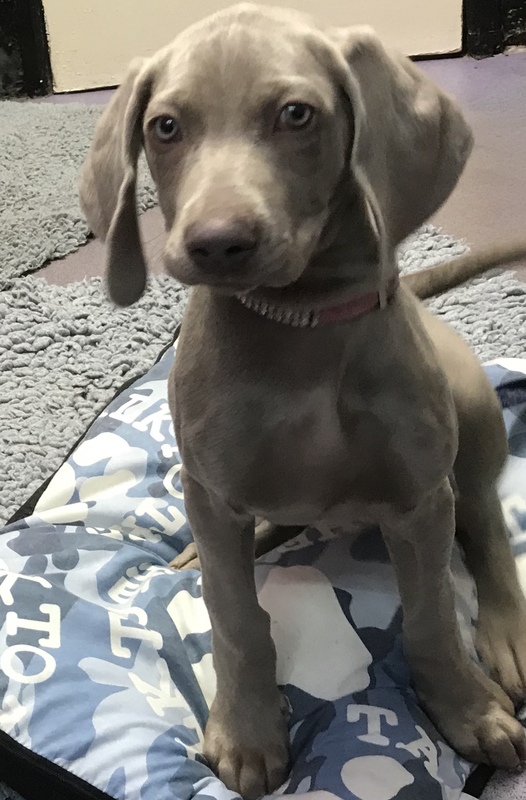 Hello all, I’d like to take this opportunity to introduce myself, I have been grooming for over 20 plus years, I am also proud to Say I have achieved my City & Guilds 7763-03, Diploma in Advanced Dog Grooming, i am City and Guilds CCTLS level 3 trained, OCN qualified in Canine First Aid, and qualified to Microchip. 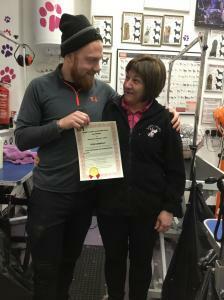 I have also achieved awards in 2010/2011 for getting people back into the workplace, which I am quietly proud of, as I love seeing others achieving their dreams, I grew up in South Africa and gained valuable veterinary nurse experience, from working with Vets, going to cattle farms, horse racing stables, as well as working in a game Reserve in Bophuthatswana, taking tourists on horseback through the wilderness, seeing wild animals up close and personal, all which I think compliments my many years of dog grooming. 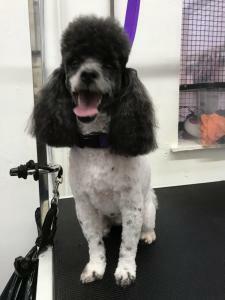 I grew up in the horse racing environment, so horses were my life, I competed as a teenage girl, doing eventing, and polo-crosse which I loved, but dogs were always a part of my life, I was basically self taught by reading books, watching videos etc, and started grooming my own dogs, went to local dog shows, and slowly people started bringing their dogs to me to groom. 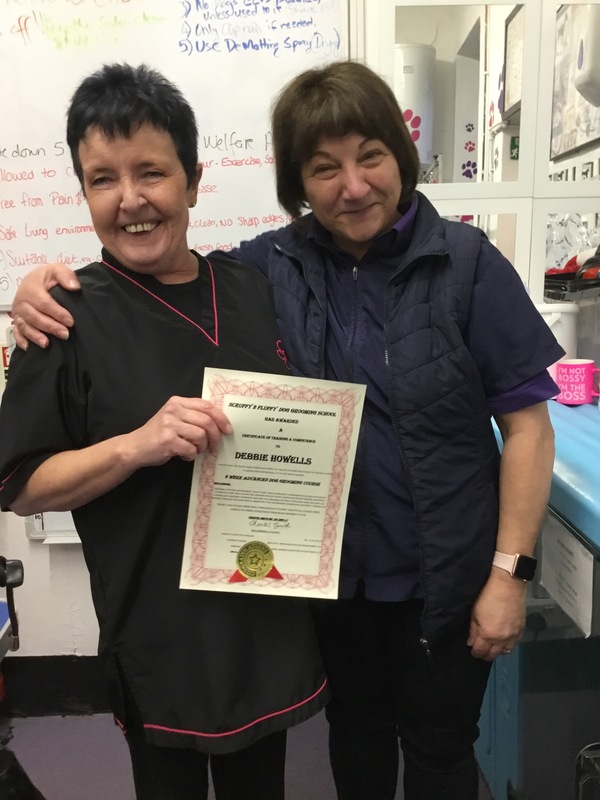 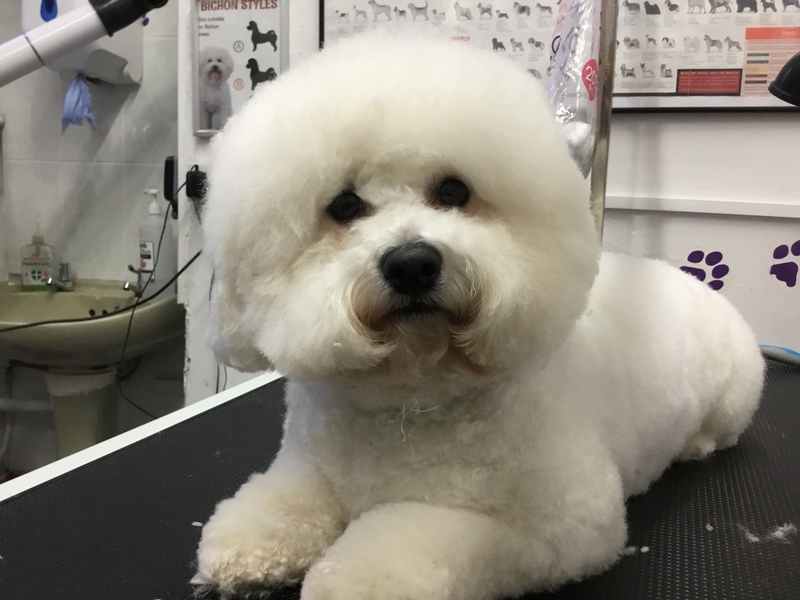 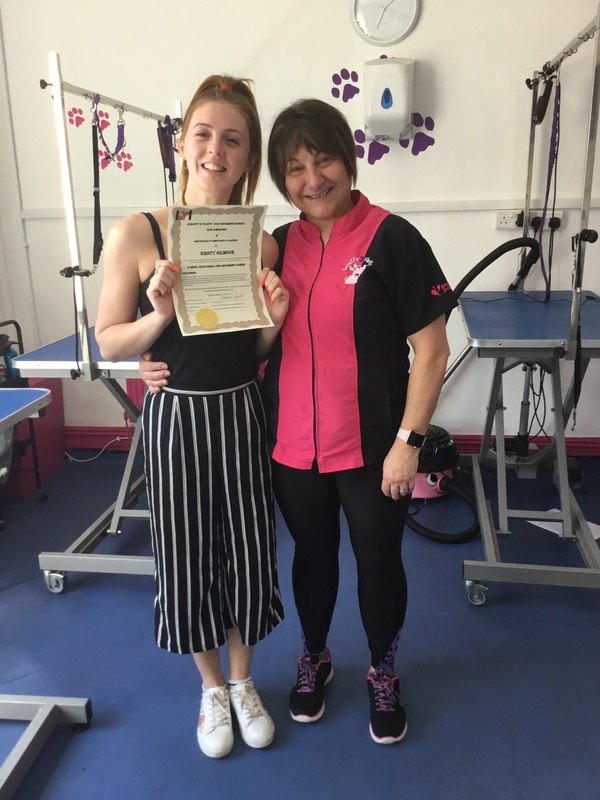 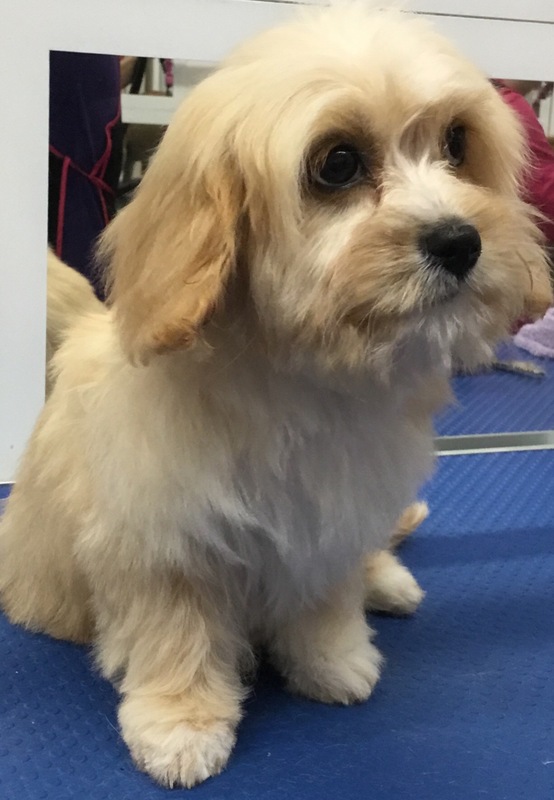 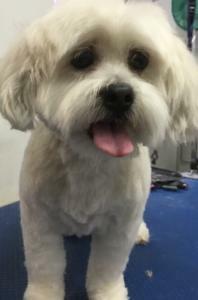 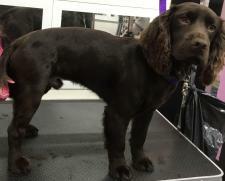 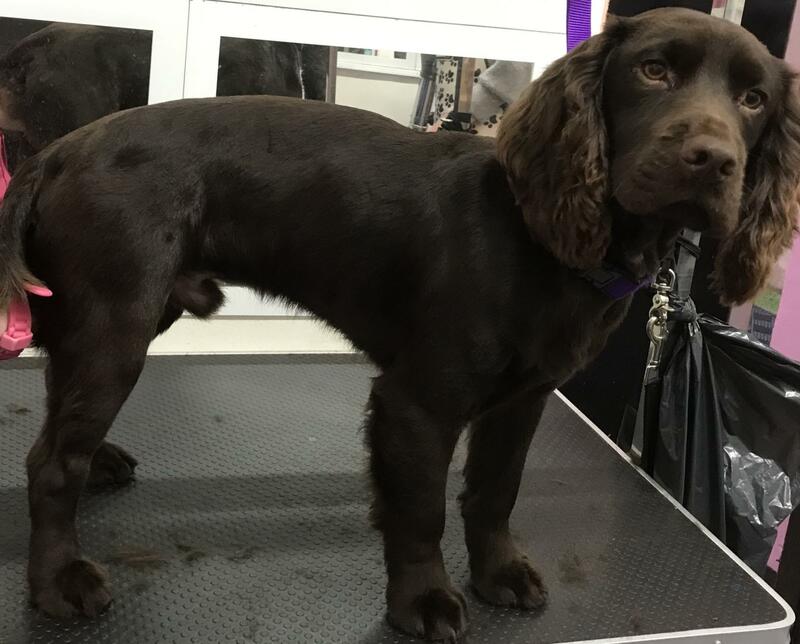 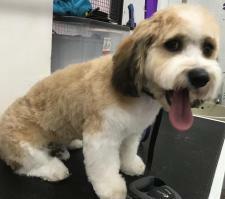 While in the U.K, I opened a grooming salon, and soon grew out of the small salon, I had achieved grooming certificates, which were not suitable for the U.K so decided to re-do my C&G Training, and with the help of Debbie Knight from The Bristles Dog Grooming, she became my first fabulous Tutor, mentor and friend, I have completed a short handling skills course with Heidi Anderton at Absolutely Animals, London School of Dog Grooming and learnt some valuable knowledge from her, and completed my Diploma, I have Attended Colin Taylor seminars to update my skills, and who has been a wonderful Support and role model for which I will be eternally grateful, this year I am starting my ICMG career path with Lakhi Thindal, Ian & Angela Caley, so going to be a busy grooming year for me, an ongoing career development! !for myself! 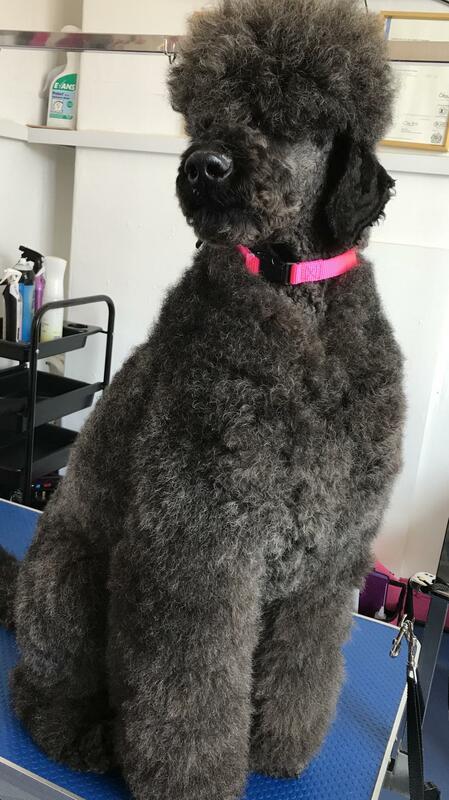 I love my job, and get great pleasure out of helping others achieve their dreams and goals, I am the owner of 2 crazy, but gorgeous Standard Poodles, whom I love dearly, Georgio and Ziva , and 3 Siamese Cats, and 2 Sphinx cats. 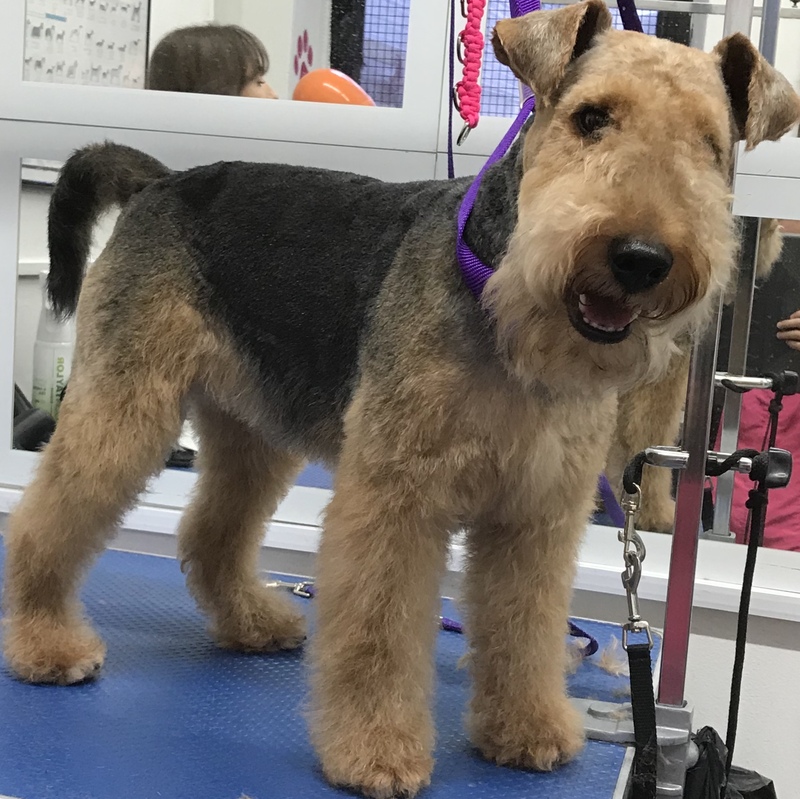 Most of all I am a proud founder member of the Groomers Spotlight! 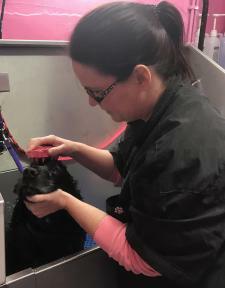 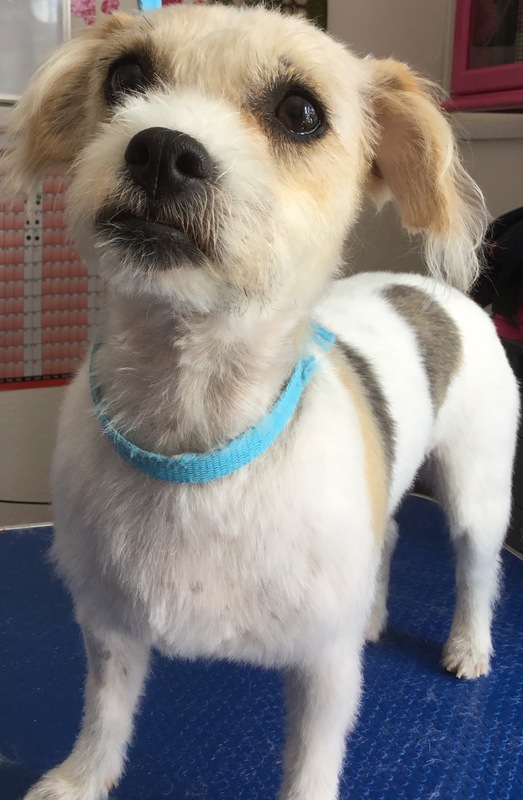 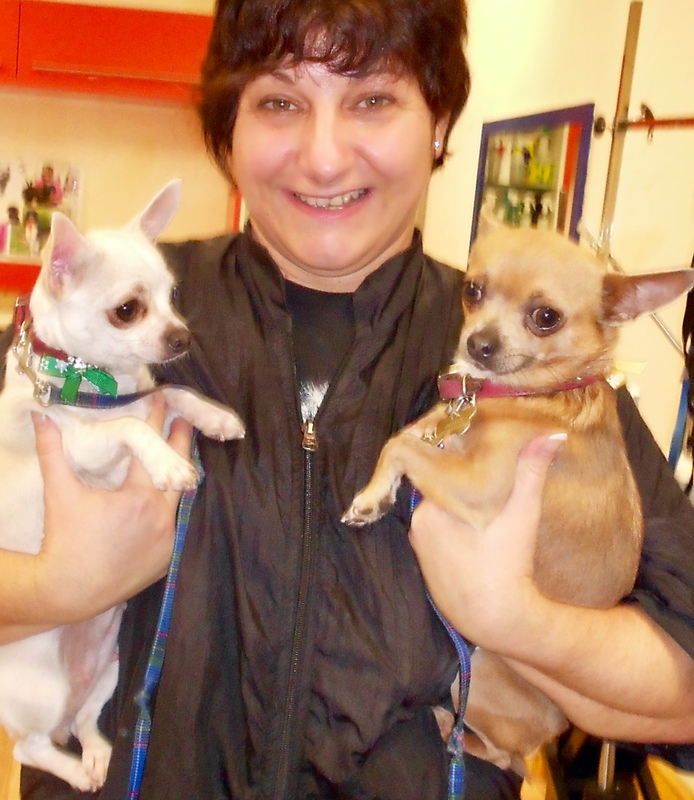 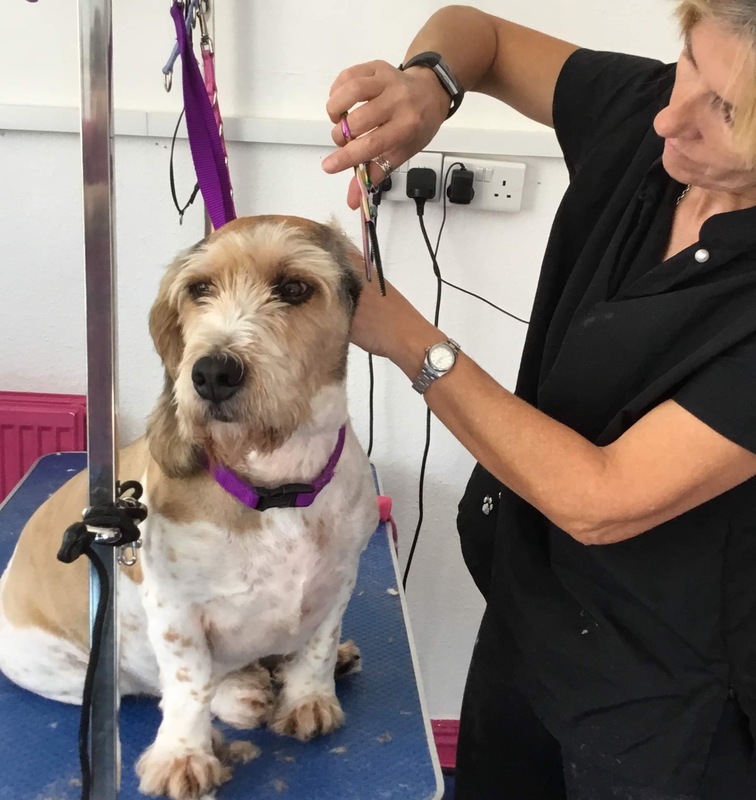 Kind, caring, patient with a real passion for her chosen profession Chantel is a dog groomer who stands head and shoulders above others. 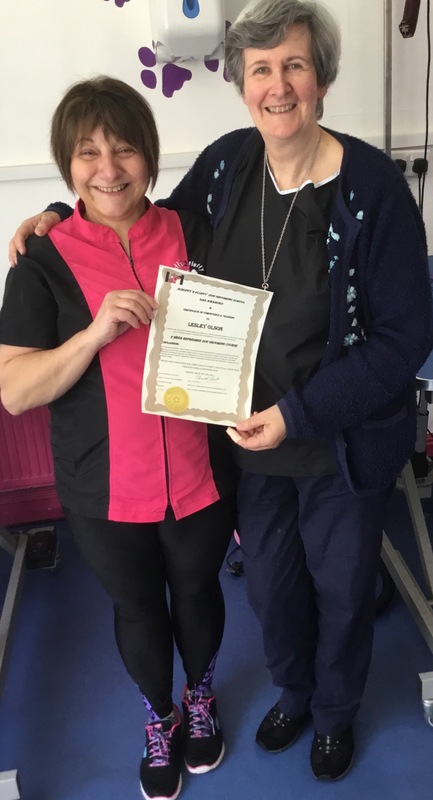 The depth and wealth of knowledge I have gained under her guidance and tuition is unparalleled and I cannot thank her for all the support and the ongoing support she offers. 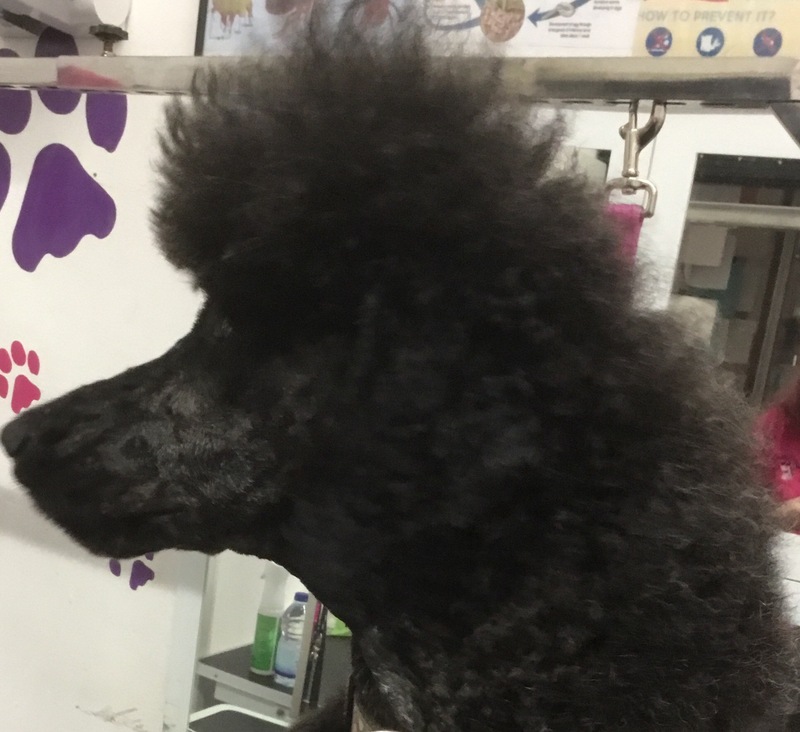 There isn’t a style she can’t follow, teach or create. 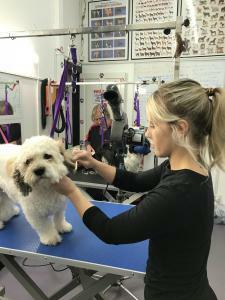 She has an in-depth knowledge of all breeds of dogs and the ability to groom every dog with the animals welfare and happiness as priority. 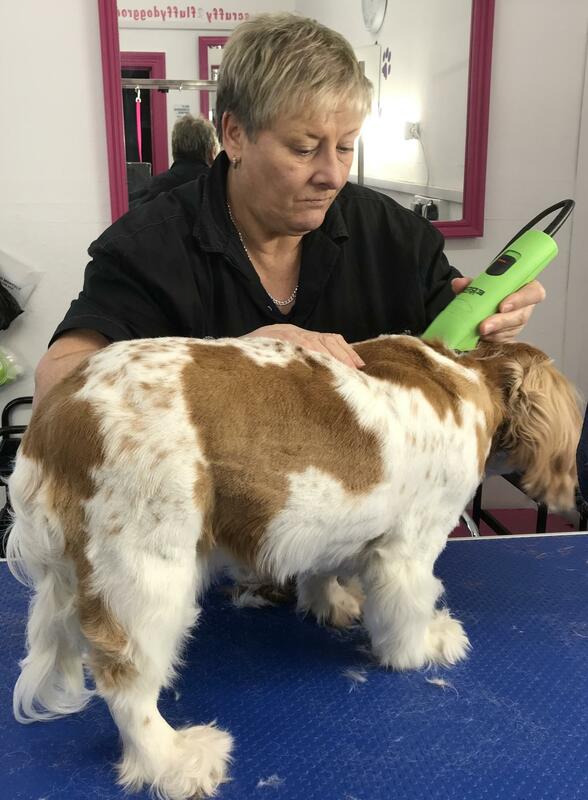 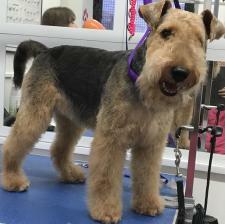 I hope that I can emulate her success and if I become half the dog groomer she is then I will consider myself to be a success. Marc Skone Owner of The Dog Cave, Carmarthen. 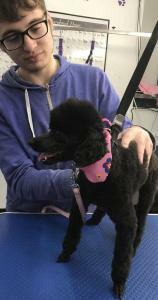 Fantastic grooming school & Chantel the tutor is fantastic. You made to feelook welcome there as i did my 6 weeks advanced course here. 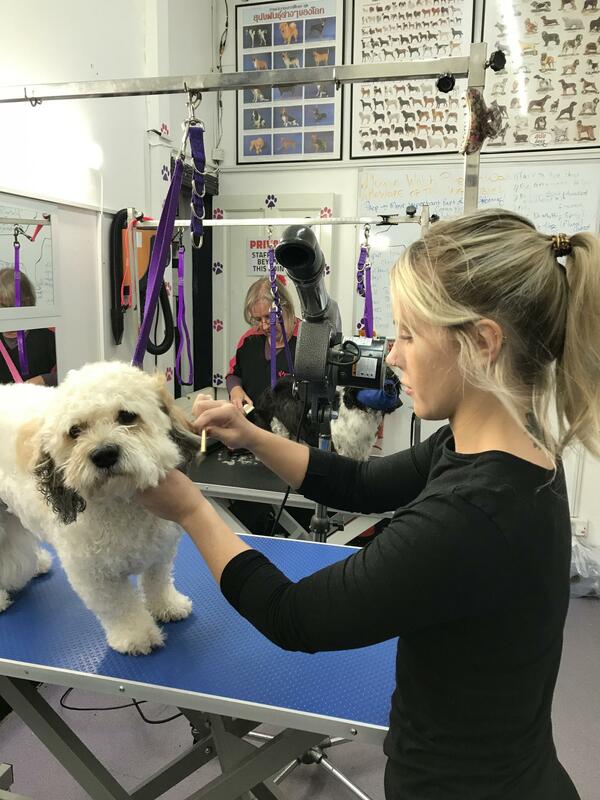 When I did my 6 week course Chantel give the courage to get back into the grooming industry & helped me to regain my confidence and gave me the support when it came to doing the exams. 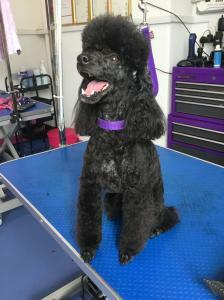 She is always there if you need help and advice on anything and everyone there are friendly and feels like your second family. You are made welcome by Chantel, Paul and all the staff, defintley recommend doing a course here.